According to the plans of the German Command, Vitebsk had become a strong point for the German Army in the East. The Gestapo, Sicherheitsdienst (SD), a large garrison, several headquarters and hospitals functioned in the city. Repression spread on a large scale. The inhabitants, especially the Jews in the ghetto on the eastern bank of the river Dvina, were executed by thousands. All pictures by Pavel Maksimov (Blr), 2014. 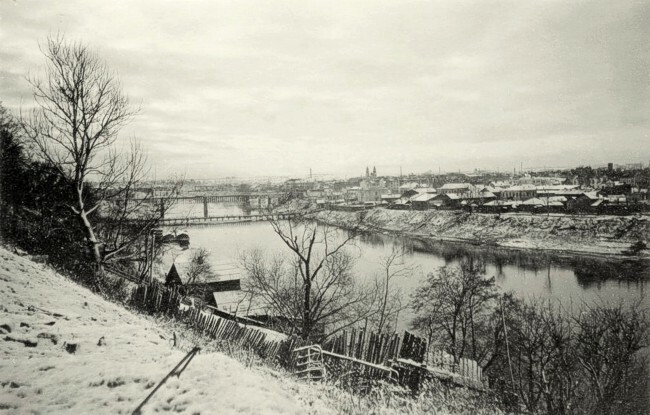 A wartime picture of the river Dvina and the city.